Your unique journey to wellness is personal because no other individual is like you. 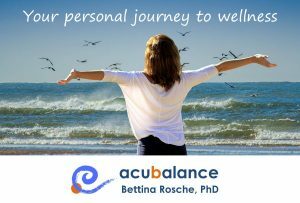 At acubalance we spend time together in a healing partnership to listen deeply to your story, your pulse and your body. Symptom relief and wellbeing emerge from harmonious balance. A balance which can be restored through the natural self-healing process which acupunctures enables. A thourough consideration of body, mind and spirit allows the most suitable and gentle acupuncture treatment. There are many conditions for which to consider acupuncture. Your concerns may be pain, anxiety, fatigue, difficulties in conception and pregnancy or a chronic health condition. I will thoroughly consult with you in person how acupuncture may support you, because your journey to wellness is unique. IVF support: acupuncture as adjunct therapy to assist with in-vitro-fertilisation. This is an area of ongoing international research. All forms of treatment have the potential for adverse reactions and it is important for your safety that you consult a qualified and registered acupuncturist such as myself. Restored vitality with balanced body, mind and spirit has long term health benefits beyond feeling good. This is because you will be resilient and flexible to meet challenges. Furthermore you can learn personalised aproaches how to look after yourself. Your treatments allow ample of time for your questions. You can discover how the wisdom treasures of Traditional Eastern Medicine translate to personlised medicine for you. You can also draw on my extensive background in scientific research and science mentoring. We can explore what you can do yourself to get and stay well. At acubalance you receive professional, holistic and personalised care with the aim of symptom relief as well as a deeper level of health, vitality and happiness. If you are looking to begin your unique journey to a deeper level of health and well-being, get in touch for a free consultation. Our 15-minute health consultation on the phone enables you to explore how acupuncture can help you, so you can decide if you would like to book in for a treatment. acubalance acupuncture serves Randwick and the Eastern Suburbs of Sydney – including Coogee, Maroubra, Eastgardens, Kensington, Kingsford, Clovelly, Waverly, Bronte, Bondi, Rosebay, Vaucluse. Bus lines 314, 316, 317, 370, 372, 373, 376, 377, X73, X77, M50, 400 stop nearby! Parking in Mears Ave, surrounding streets, Coles and Royal Randwick Shopping Centres. Copyright © Bettina Rosche 2019.